1. 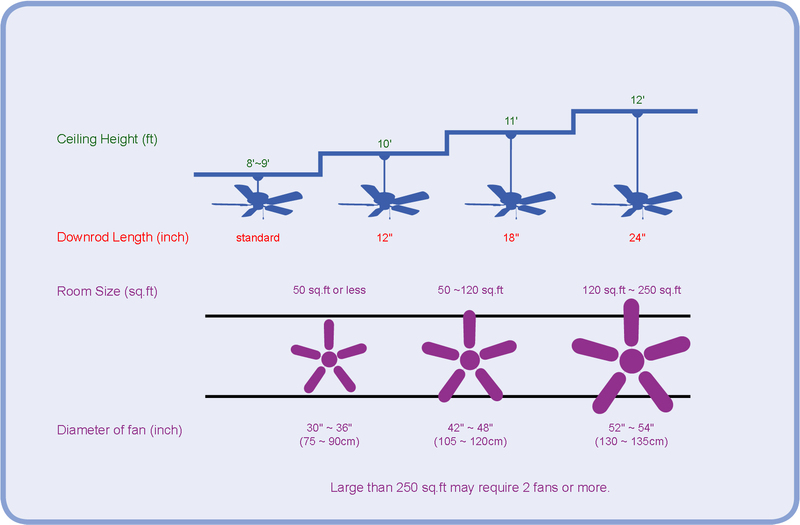 What ceiling fan size is right for my room? 2. How to install a ceiling fan to fit my room? 3. How to use ceiling fans for year-around comfort? 4. What to do if your ceiling fan wobbles? One potential problem is that your ceiling fan has loose screws. Considering that all ceiling fans have lots of screws for hanging bracket, motor, blade clip etc, it would be easy for some to not tighten enough during installation or become loose after a period of time. Start by tightening all of the screws used to hold the blade to the blade clip. If that does not work, try securing the down rod to the fan motor. Next, tighten the screws used to secure the down rod to the mounting ball, the screws for the mounting bracket, and finally, the screws that secure the ceiling box to the ceiling. This should resolve the problem. SMC brings you to enjoy Comfort, Quiet & Reliable air circulation service. Selecting suitable Ceiling fans, Oscillating fans and High Velocity fans now.